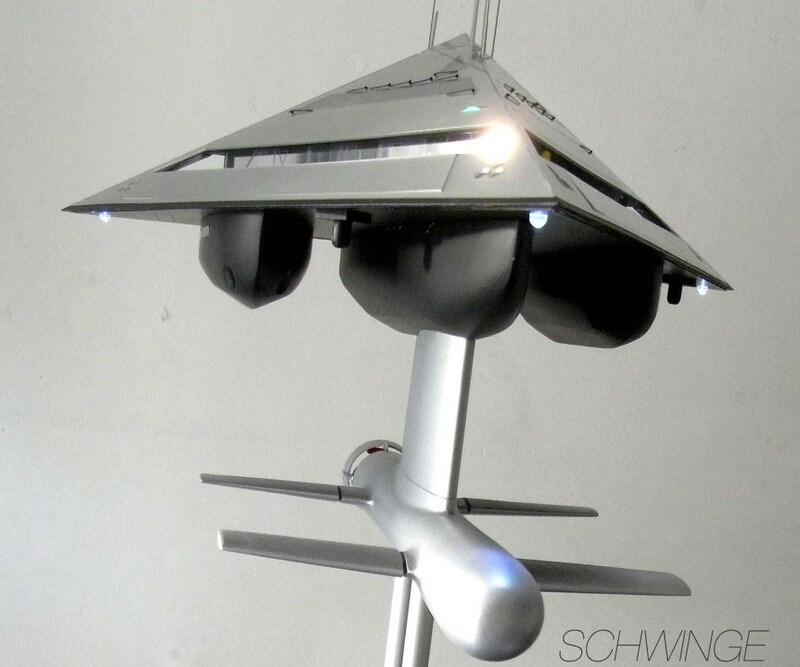 British designer Jonathan Schwinge has released a concept for a futuristic water vessel that lifts itself above the water’s surface for Schwinge Yachts. 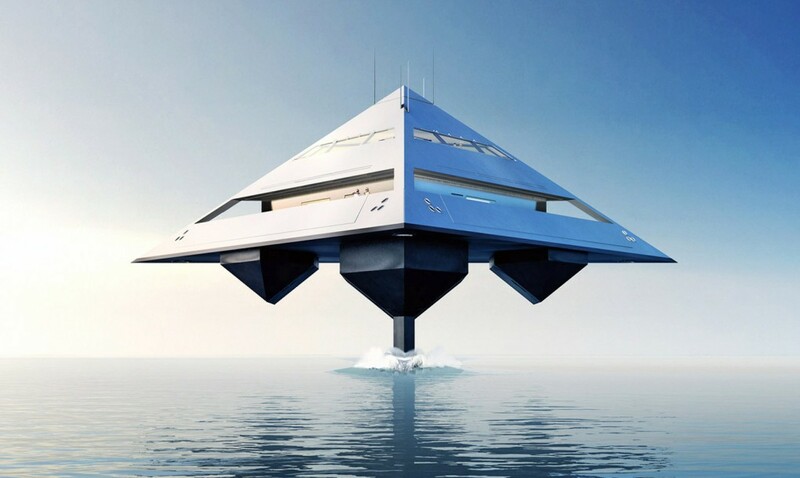 This super yacht, designed to travel at high speeds across the ocean surface, is designed around currently existing technologies, and is designed to take a look into the future of luxury cruise lines. The craft would be powered by hydrofoil propulsion, and would float on the surface at low speeds using standard hulls on the underside. Then, when the time comes to kick the boat into high gear, hydrofoils on the bottom arm of the ship would activate, lifting the ship above water level to provide a smooth, bump-free ride while at high speeds. 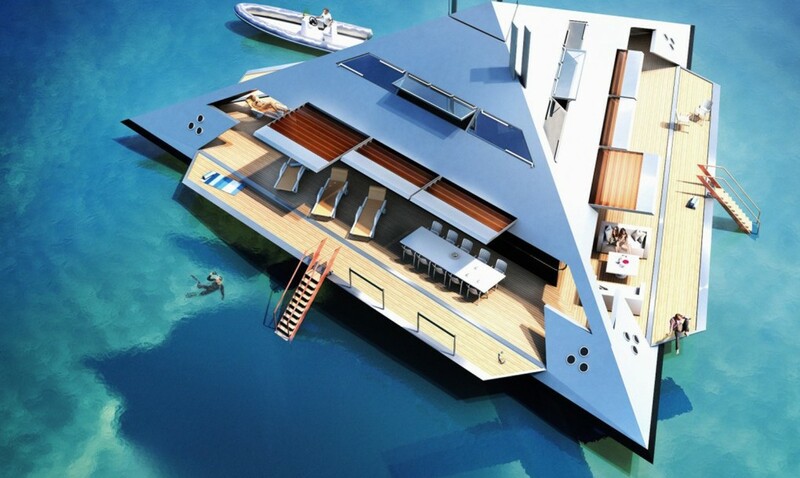 The ship’s tetrahedron design isn’t just for show, either; each of the three sides of the yacht can fold down, creating deck areas for passengers to lounge as well as providing multiple angles for the ship to dock at. The design is currently suited to carrying 10 passengers on its carbon-fiber structure, and while no plans are currently underway to make this dream boat a reality, it’s certainly an interesting look at what’s to come!